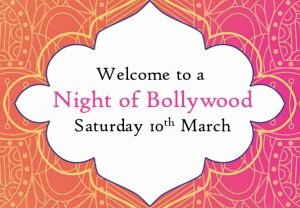 Saturday 10th March, evening starts 7pm. A glass of champagne will be served before a 3-course Indian meal. a live Auction and Gifting Tree Fundraising. 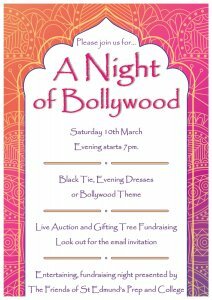 This entertaining night is presented by The Friends of St Edmund’s Prep and College. Early bird tickets bought before Friday 23rd February are £80 rising to £100 after this date. Over 18’s only. Only 20 tables each seating a maximum of 10. Please book your tickets below – there will be an administration charge of 15p per ticket. If you have a table you would like to sit with please email Helen Crook via friends@stedmundscollege.org with the list of names. If you require a vegetarian meal for any person in your booking please also notify the Friends via the above email.